Combing the shelves for most excellent reads. 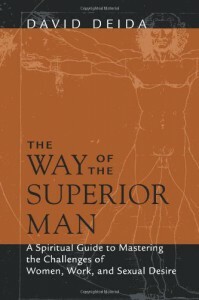 I read this book on recommendation from a friend that I respect and found it to be a fascinating corrective to various notions that I had acquired growing up, notions that set me down the wrong path in many ways. Fortunately my instincts kept some of this in check to a certain degree - the way you can usually tell when you're lying to yourself - but it did cause me a lot of heartache and confusion along the way. As such, the book crystallized much of what I'd suspected deep down over the years, laying out a way of life that on the face of it is perhaps more challenging yet much more fulfilling in the long run. As someone who has a naturally sensitive nature - more for others than for myself, in truth - I can attest to the way that one can often use that nature as an excuse for taking chances and really going for it. And the end of the day, taking chances and going for it are what its all about when it comes to the human condition. The excerpts that focused on relationships were quite illuminating as well, juxtaposing the difference between the feminine and masculine approaches to said relations. The masculine urge to "get to the bottom of it" - that is the issue at hand - often seems to come at odds with the feminine approach, and now I have a better understanding of why that might be. Emotions are messy and it's not anyone's job to "clean them up", least of all for another person - sometimes you just need to bear with the moment, experience it together and be supportive. If it sounds like common sense, that's because it probably is, but then I've always had that part of me that needs to pick at the scab! I now realize that this review is really about me now that I'm wrapping it up, but then this is a very affecting look at the self that reframes its relation to the surrounding world. If I had to sum up the thrust of what I took away from this book, it's to stay hungry and keep moving. Stasis and comfort are the enemy of growth, and if you're not growing then you're not truly living. It's not called the human condition for nothing. I'm reminded of a quote from arch-philosopher David Lee Roth: "Humans are always at their best when they’re ascending towards something." I'd always been fascinated by the story of John Lydon's appearance on Capital Radio in 1977, where he played a whole brace of leftfield music by the likes of Can and Dr. Alimantado. 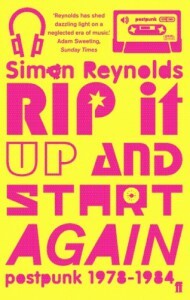 Simon Reynolds uses this event as the jumping off point for an exploration of post punk, loosely defined as the period when punks got experimental. Framing Lydon's Public Image Limited at the center of the scene, Reynolds explores the myriad sounds that developed in punk's aftermath, from punk funk to new pop and ultimately the origins of alternative rock. This era's music was a huge part of my youth, growing up as I did in the eighties and nineties. At the time, I would have thought of most of this music as either new wave or synth pop (I don't think I'd heard the term "post punk" until I read Reynolds' "Messthetics #1" piece around the turn of the century). Large swathes of the more esoteric music found in RIUSA were unknown to me the first time around. I loved the way Reynolds ultimately ties the post punk thread into rave, with strong channels linking the two (including industrial, synth and avant funk), as I actually worked my way back from rave into a lot of this music. In fact, it wasn't until getting into electronic music in the mid-nineties that I began to explore the era a bit deeper and became familiar with names like Fad Gadget, Cabaret Voltaire and Throbbing Gristle. Reynolds has generated such a wealth of information about this era (spilling over into a companion book, entitled Totally Wired, and a blog repository of other miscellaneous data) that it's nearly impossible to cover all of it here. He touches on everything from The Pop Group to the Specials, the Talking Heads to The Fall, Joy Division to Frankie Goes To Hollywood and far beyond. The breadth of what's covered here is truly astounding. Great history of Cabaret Voltaire's recondite studio explorations and The Human League's gradual development of their definitive take on the synth pop form. Future music all around. The vivid recollections of David Thomas and Mark Mothersbaugh (of Pere Ubu and Devo, respectively) are priceless history, and Reynolds brilliantly evokes the desolate post-industrial landscapes of Cleveland and Akron. I loved the singular vision of disparate groups like Tuxedomoon and Chrome, along with Reynolds' rich evocation of the crumbling Mission District during that time. All of these groups truly "did their own thing." One footnote of importance is that apparently the U.S. version is heavily abridged. I knew that it was missing the chapter on SST (which was helpfully included in the U.S. edition of Totally Wired), but discovered during this last reading that whole sections were apparently condensed and even combined in some instances. I will have to track down a UK version at some point to get the "full experience." However, rest assured that everything that is included here is five-star material and thus gets no less than a five-star rating from me. There was a time when this was my favorite book in the world. As a youth, I was captivated by Axel's evocative descriptions of his titular journey. I've probably read it at least a dozen times over the years, so it seemed only natural to revisit it now that I'm working my way through some of my old favorites. I actually had to buy a new edition of the text, so worn was my classic Bantam paperback, it had begun to resemble the books from that dilapidated library in The Time Machine. Once I'd tracked down this excellent Barnes & Noble edition, I was all set to curl up in the book - as one would an heirloom quilt - and return to the center of the earth. Strangely enough, it was hard going for the first hundred pages. I just couldn't immerse myself in the story; it wasn't drawing me in. The dialogue was far more wooden than I'd remembered, while Axel and Lidenbrock's exchanges never came off quite as witty as I was hoping. And Axel's relationship with Grauben seemed cursory at best. Granted, it's not meant to be the focus of the story, but it is presented as one of the emotional cornerstones of Axel's life and one of his main motivations for getting home (or even not leaving in the first place). This is a relationship that could have imbued the story with the gravity of some timeless folk song, like "John Riley" or "Home Of The Whale", but as far below the surface as this journey may take us, there's no depth to be found in matters of the heart. It doesn't ring true. He's goes on and on about "his pretty Virland girl" in platitudes and I just couldn't believe a word of it. So, cutting short just before Axel and Lidenbrock arrive in Iceland, I put the book down for awhile. I soaked up some other material in the interrim, still dreading the thought of cracking it open again. Seasons passed. Finally, one day when my conscience got the better of me, I grabbed the now-dusty book and picked up where I'd left off. Then, the strangest thing happened: the story began to pick up serious steam. Hans entered the picture - every bit as cool as I'd remembered - and began his tenure as guide, escorting this scrappy lot through Iceland's backcountry. It's here that Verne really gets to play to his strengths, crafting detailed sketches of the tundra that our band of misfits must traverse in their journey to the volcanic mouth of Snaefells (their portal to the underworld). The nightly stays at various lodges that punctuate the journey are a particular highlight, with evocative language that practically puts you in the room with these huddled strangers as the furies rage outside. With the trio's ascent of the volcano to their protracted plunge to its depths, the story's episodic structure never loses focus of its surroundings: the reader is nothing if not the fourth traveller on this journey. Without revealing too much about the steps taken beneath the earth itself, I'll note that Verne walks the tightrope between science-fiction and fantasy in fine style. He deftly shifts from passages fraught with existential terror to droll geological observations, logical attempts to reckon the unfathomable and even touching moments of surprising tenderness. 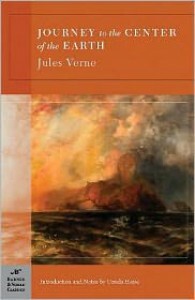 There are still stretches of the story that aren't quite as focused as others, even places where it starts to drag slightly, but perhaps that was Verne's intention: to mirror the state and fate of our subterranean drifters and their surroundings. From the journey's beginning to its conclusion, there does seem to be an aspect in which the prose itself mirrors its subject. Even if the novel as a whole no longer seemed as spectacular to me as it once had, there was still plenty in it to draw me back into its trip for a spell. I can't say that it's still my favorite book in the world, but it's one that I'm tremendously grateful to have grown up with. And even today, if you were to give it to a certain type of ten year old, it just might stay with them for a very long time indeed. This is a solid introduction to techno music, its trappings and origins, penned by Dan Sicko at the turn of the century as a sort of round up of techno's history up to that moment. 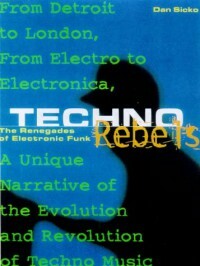 The undisputed strength of this book lies in its first half, which chronicles the rise of early techno from the crucible of Detroit's early eighties party scene. "Progressive" was the description given at the time to the mix of funk, new wave, disco and synth pop that held sway on the city's dancefloors, records drawn from distant locales including France, Italy, Japan, Germany and the UK (a global outlook before such was commonplace in music). Running in parallel during this period was The Electrifying Mojo, a visionary DJ who played a similar mix of styles (from Kraftwerk to Funkadelic to The B-52's to Prince to Tangerine Dream) during his extended late-night sets broadcast over Detroit's radio waves. This is the context from which Juan Atkins emerged with his early forays into electronic music that would ultimately culminate in his Metroplex label and the first very techno records. The book remains strong as Sicko continues with the exploits of "The Belleville Three", rounded out by Derrick May and Kevin Saunderson. These stories are simply classic, and Sicko's dogged pursuit of surrounding historical context seems to unfold them in three dimensions. Even as he moves across the Atlantic to cover 808 State and A Guy Called Gerald, along with the next generation of Detroit producers, including the likes of Carl Craig, Richie Hawtin and Underground Resistance, he manages to retain focus. Sometimes the writing lacks flash, and might seem even dry to some, but it gets the job done. I think the book does lose its way a bit when he moves into other genres like jungle and post rock toward the end; also when he starts giving a country by country breakdown of techno producers. The latter might have been more elegantly accomplished if they'd all been threaded together (along with Detroit cats like Suburban Knight and Sean Deason), emphasizing the increasing global nature of the music through juxtaposition (as it would have been during a DJ set) rather than splitting it all up into mini-sections (logical and encyclopedic, but leaves a bad aftertaste of entropy). There was also a reference to a form of proto-techno (called "tekno", apparently) associated with Talla2XLC in the eighties that I was hoping to hear more about, but it only got a passing mention. This part of the book could have actually been fleshed out quite a bit more to maintain the tone of the first half, maybe telling the stories of artists like Ken Ishii, The Black Dog, Adam Beyer and Surgeon, while also managing to go into the Berlin/Detroit axis in more detail (Basic Channel/3MB) and document some of the global link ups (Orlando Voorn/Blake Baxter, more space dedicated to the Gerald Simpson Inertia record on Retroactive, Neuropolitique). Dobre and Jamez (Jark Prongo/René et Gaston/Klatsch!, etc. etc. etc!) certainly deserved a look in. And the section where he moves into other genres touched by techno just felt far too cursory, in some cases it was almost as if he was winging it! 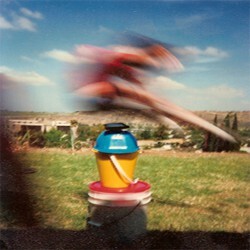 Just coming at it from the technoid angle, the jungle section (for example) could have touched on not only 4 Hero's/Jacob's Optical Stairway, Photek, T. Power and A Guy Called Gerald in more depth, but also Detroit incursions like Soundmurderer & SK1, Sean Deason's dabbling in breakbeat science and the Dyonis record on Fragile. Beyond that, there wasn't any mention of techstep or ragga jungle, while L. Double and the Kemet Crew would have been more than welcome additions to the narrative. There's certainly a case to be made for these genres' duality. All of this could quickly fill a book of its own, but it still might have been illuminating to give these tangents more space in the text (or else excise them completely). Impetus for the coverage of jungle could have sprung from the bleep 'n bass chapter, with the likes of Unique 3 and Shut Up And Dance serving as a bridge, rather than its being tucked way as a footnote at the end. Once rave music makes its appearance felt in the book, it would have made sense to look in on it from time to time for the sake of comparison, with the well-recorded animosity <i>some</i> techno producers had toward the style. At any rate, I'm going off on tangents of my own here (I do generally think a lot of these genres get spliced apart from each other to their detriment), but suffice it to say that the parts of this book that work <i>really</i> work - and you won't really find them covered anywhere else (hence the solid five star rating). Its focus on historical context is its strength. Those left cold by the history would do well to check out Kodwo Eshun's <i>More Brilliant Than The Sun</i>, a more imagagistic mapping of techno and surrounding terrain. These two books complement each other extremely well. If you're looking to start exploring techno music, <i>Techno Rebels</i> would make an excellent first port of call. Ground zero for cyberpunk culture, or what we now call "daily life". I read this for the first time in high school circa 1998, and it had a profound impact on me. 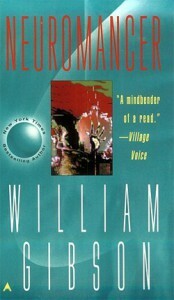 This is probably my fifth time reading it, and it's stunning how much closer civilization has grown to resemble Neuromancer's hyper-accelerated world in the intervening years. While all of this advanced technology stood out back in the day, even functioning as a point of fascination in and of itself, it now feels remarkably prescient of much of today's common tech that informs daily life. It's lived in, no longer of the showroom but now taken for granted in day to day life. The mechanics of Gibson's world also seem to foreshadow many elements of our own, from a corporate omnipresence to ever-unfurling bio-tech advancements and even a sort of bored fixation on hyper-entertainment. All of this to say that the practical common ground that today's reader (as opposed to a reader, say twenty years ago) has with these characters is a head start of sorts at enjoying everything else the book has to offer. From the story itself and its fascinating descriptive architecture to these unforgettable characters and their kinetic, syncopated dialog, it's a deeply engaging read that I can't recommend enough. This is a fascinating read for anyone interested in the origins of that arcane practice of diving to the bottom of a computer in search of answers. I first read this one back in high school, and may have read it again circa 2005 (if memory serves). It only gets better every time I read it. This book provides an invaluable history of computing's development into something the modern day user might recognize. It is split into three sections that chronicle three distinct eras in the computer's development. 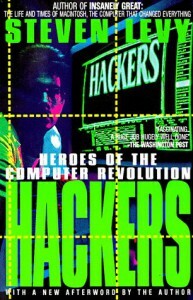 The first details the high-brow antics of the original MIT hackers as they proceed to essentially write the book on exploratory computer programming in the sixties. The second traces the development of the original hardware hackers, whose circuit-board alchemy ultimately brought computing beyond the confines of the university and into the home (note the synchronicity of the Apple II's release in 1977 - the year of punk!). The third is a madhouse romp through the early years of video game development, particularly zeroing in on Sierra On-Line's fortunes. This time, I enjoyed all three sections equally and noted some touching developments that have unfolded in each story since I last read the book. First, that the hands-on, free-flow-of-information dream of the original MIT hackers lives on in today's open source development and the internet's free-for-all exchange of information. Second, computers are more mainstream than ever, with more and more people gaining access to their power and said free flow of information. Third, all of this talk in recent years about video games becoming a true art form is surely the culmination of the wildest dreams of those early hackers that defined the form in its infancy all those years ago.